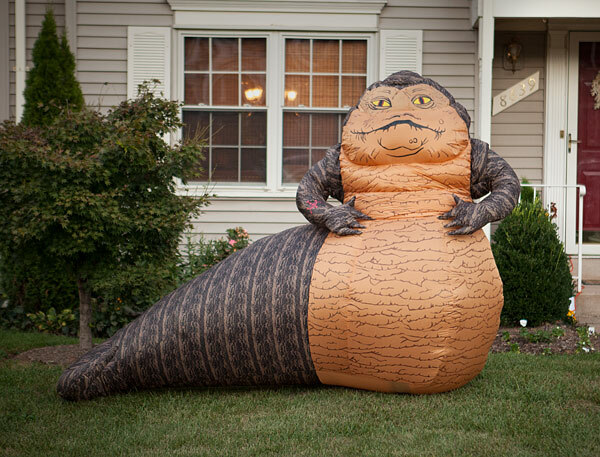 ThinkGeek has released an inflatable Jabba the Hutt lawn decoration. The six foot tall polyester lawn ornament, which also lights up, is available to purchase online. The very first time you saw an inflatable in somebody’s yard, you immediately thought of this, too, didn’t you? Jabba’s such a perfect fit for a lawn decoration like this. And it’s not like you have to keep him on your lawn, either. Stick him in your den. Put him in your garage. Just don’t put him in your bedroom. That’s creepy. 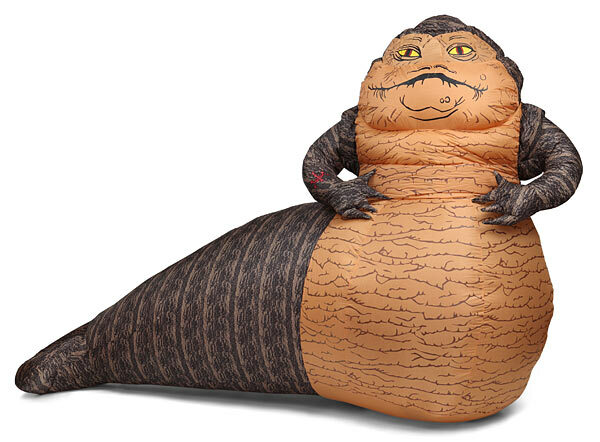 This Star Wars Jabba the Hutt Inflatable… inflates in just minutes. It has a built-in blower fan for easy inflation and includes stakes so nobody takes off with your prize. Pair him with a Han Solo in carbonite door cover, and you’re halfway to his palace. Just walk carefully. No telling where there’s a trap door.